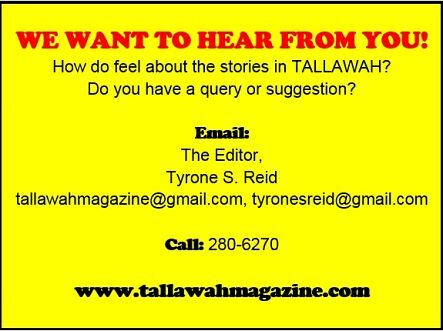 TAKING THE LEAD: Hear ye! Awards season has officially begun, with Thursday's announcement, by the Hollywood Foreign Press Association, of the 2015 Golden Globe nominees in Los Angeles. The widely praised black comedy Birdman topped the list of contenders with seven nominations, including bids for Best Comedy/Musical, Best Actor (Michael Keaton), Supporting Actor (Ed Norton) and Supporting Actress (Emma Stone). As expected, director Alejandro Gonzalez Iñárritu also picked up a nod. But Birdman faces stiff competition from Richard Linklater's Boyhood (co-starring Ethan Hawke and Patricia Arquette) and the intense World War II drama The Imitation Game, with Best Actor hopeful Benedict Cumberbatch and Keira Knightley, up for supporting actress ― each getting five nominations apiece. 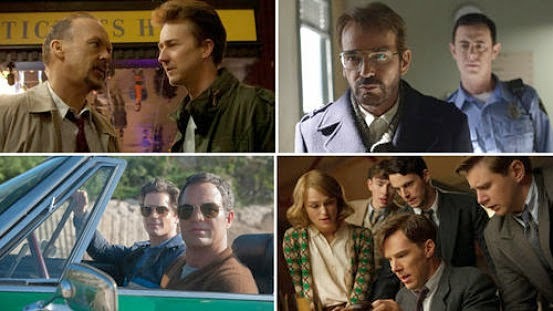 Notable snubs: voters didn't take a shine to Angelina Jolie's much-buzzed-about WWII epic Unbroken and Wild's Laura Dern was a casualty in the fiercely competitive supporting-actress race. Her costar Reese Witherspoon (up for lead actress), however, continued her fine form a day after snagging her latest Screen Actors' Guild nomination. Delightful inclusions: Annie's 10-year-old leading lady Quvenzhané Wallis (Beasts of the Southern Wild) nominated for Best Actress, alongside Gone Girl's Rosamund Pike and Into the Woods' Meryl Streep. The 72nd Annual Golden Globes, hosted by Tina Fey and Amy Poehler, are set for January 11. To see the complete list of nominees, go to goldenglobes.com. WALKING TALL: High honours are old hat for Jamaica's Usain Bolt, the World's Fastest Man whose electrifying exploits in international men's sprinting are the stuff of legend. But even the 28-year-old champ was left beaming like a schoolkid when word came that the new-look Guinness Book of World Records has officially recognized him as the fastest human being on Planet Earth, using his phenomenal 9.58 seconds performance in the Men's 100M dash as their mark. Kudos to the big man! 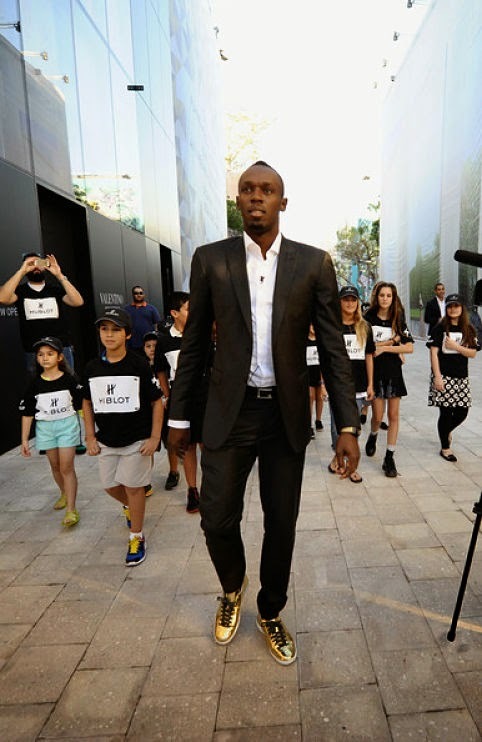 Bolt, who was recently in Florida lending some superstar power to Miami events put on by Hublot and Haute Living, respectively, has said that 2015 could see him lowering both his 100M and 200M (19.19 secs) records if he has his way and the conditions prove favourable. As everyone knows by now, Bolt is a man of surprises and astonishing talent, so consider us intrigued ― and totally expecting the unexpected. > And while on the subject of champions, hearty congrats to the whiz kids of St. Richard's Primary, the 2014 winners of TV J's Junior Schools' Challenge Quiz competition. In the fading moments of a nail-biting finale against Mona Prep, the persistent St. Richard's team managed to surge ahead, eventually outscoring their rivals 33-25 to lift the hefty TV J trophy, presented by general manager Claire Grant.